They go by many names; Trim Trails, Play Trails, Fitness Trails, Adventure Trails. Whichever name you prefer, we offer a wide range of equipment, which can be configured to suit all ages and all users. 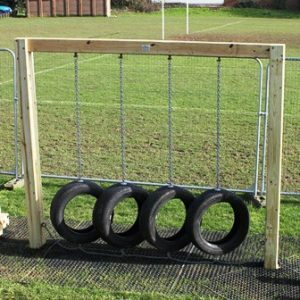 So, whether you are building an adult trim trail; a fitness circuit or an area to improve children’s balance and coordination, we can supply the solution. 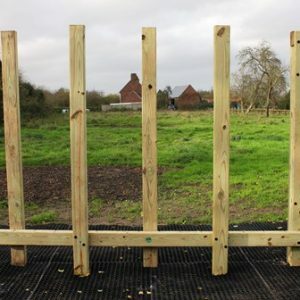 We have a range of over 30 individual pieces so that you can build your own trail configuration and we have also put together some complete sets, to help give ideas and save planning time. 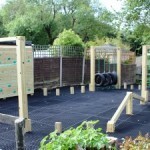 Play Trails offer schools the greatest flexibility of all outdoor play equipment types. 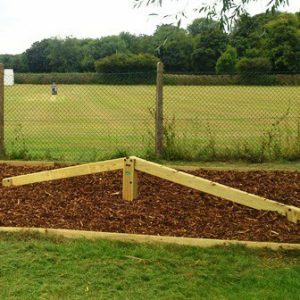 The Play Trail can be as long or as short as you want it – it can be straight or it can follow a special path to fit your site. The heights and content of the equipment can be specified by you to be as challenging or as easy as you want them to be and to suit the age group you are catering for. Also, you can easily extend the Play Trail area as and when more funds become available. Our delivery charges for Trim Trails depend on location, volume and installation services, so please contact us for a quotation. However, as a guide, our delivery charges for Adventure Trails are normally in the region of £150. A 2 or 3 Tyre Stack which can be added to any Adventure Trail. Use these play trail components to create an imaginative and challenging layout according to your space, budget and age groups. Commercial grade Inclined Balance Beams. The rectangular option is 4m long with 2m rising and 2m falling. The roundwood option comes as a single 2.4m length so, depending on your design, you may wish to order two. Great for testing balance and concentration in children and adults alike. The commercial grade Balance Beam is another timeless piece of playground equipment. Choose from two designs; Rectangular or Roundwood. Stepping Stones are a timeless piece of playground equipment. They can be easily added to a play area or adventure trail for very little cost and their lay-out is completely flexible. Good for developing co-ordination and balance. Our Ladder Walk is another classic piece of play trail equipment that is suitable for many ages of children. Helps to improve balance and co-ordination. Great for testing balancing ability, this commercial Double Tight Rope is made up from steel rope attached to timber posts. Commercial Balance Weaver Beams, solid timber balance beam with additional uprights to really test your concentration, great for all playgrounds, and adventure trails. 3 designs available. Set of 3 Chin-Up Bars great as part of a trim trail for adults or children. 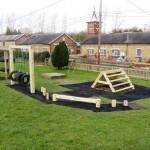 Wobble Beam is another classic piece of school playground and play trail equipment. Helps to improve balance and co-ordination. Gym Bars help to improve both stamina and upper body strength making them ideal for trim trails and assault courses. Set of Solid timber Stilts, designed to challenge children to stretch and stride from one stilt to the next. A great item suitable for all playgrounds and Adventure Trails. Our standalone Monkey Bars help to develop upper body strength and stamina making them ideal for both Trim Tails, and playgrounds. Made with round timber rungs. Hanging Log Crossing, round logs hanging from a timber frame create a challening piece which is suitable for any adventure trail or trim trail. Available with a square or round timber frame. Tyre Crossing consisting of 4 tyres on suspension ropes fixed to wooden beams. Helps to improve balance and co-ordination. Commercial Inclined Rock Wall & Ladder, ideal for playgrounds, adventure trails and assault courses. Wobble Bridge is another classic piece of adventure trail equipment, a wooden frame with chain-supported bridge planks. Helps to improve balance and co-ordination. Rolling Log Walk, a 2m long log suspended between timber uprights which spins as you cross, great for improving balance, a steel rope handrail is there for support. Our Spring Beam offers hours of fun and is a great way to develop a child’s balance. Commercial Inclined Rock Wall & Scramble Net, ideal for playgrounds, adventure trails and assault courses. 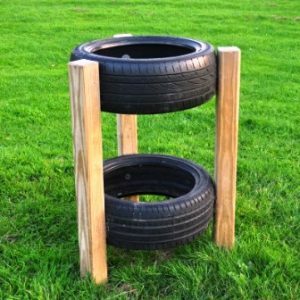 Set of 4 timber ‘tree’ uprights with climbing holds to challenge children whether climbing vertically or traversing from one tree to another. A Vertical Rock Wall, a great challenge to traverse across, and climb up and down, this single sided rock wall is a great addition to any playground or fitness trail.